Welcome to the MPA Archives. This section will gradually expand as we post documents and photos from MPA’s long and interesting history! The MPA historian is Dr. Bernie Dugoni. Benjamin, L. (1979). The Midwestern Psychological Association: A history of the organization and its antecedents. American Psychologist, 34, 201-213. MPA is the oldest regional psychological association. It held its first meeting at Northwestern University in 1926. Presenters at the first meeting included Joseph Jastrow, Coleman Griffith and Clark Hull. MPA has held an annual meeting World since, except 1943-1945 because of political War political MPA has weathered politcal storms over the years including passing a resolution in 1939 condemning Hitler’s Nazi regime, moving the conference in 1952 to protest McCarthyism, and urging the removal of US troops from Vietnam in 1970. First and foremost, however, MPA has been an organization dedicated to psychological science. 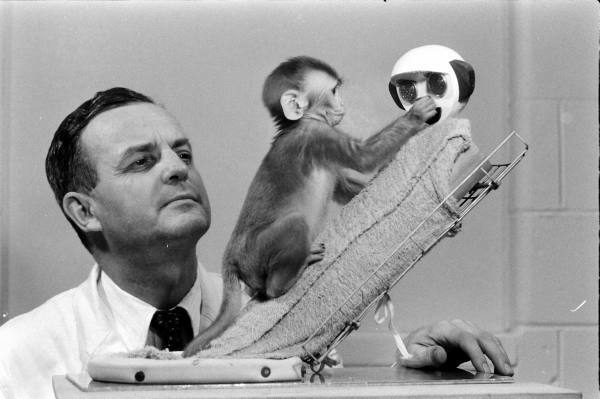 It has enjoyed the leadership of eminent past Presidents including B.F. Skinner, Harry Harlow, Robert Seashore, Paul Meehl, Donald Fiske, and Harvey Carr. Join MPA for its 5th annual meeting in easily-accessible Yellow Springs, Ohio. The train from Chicago leaves at 11:20PM. After transferring to an electric car at Springfield, you’ll arrive just in time for the meeting at 8:30AM. Note the executive committee which includes L.L. Thurstone, known for his work on intelligence theory and factor analysis. MPA’s opposition to holding the 12th International Congress of Psychology in Austria following the Nazi annexation of that country. Need a hotel room in Chicago for less than $5 per night? You’re in luck, as long as you live in 1947. Look at these old MPA hotel registration forms. What do B.F. Skinner, Raymond Cattell, and Ann Landers have in common? They all submitted proposals to the 1961 MPA Annual Meeting. You can see their proposals here. Program books from past meetings are available in the member’s section. If you are not a member and would like a copy of a program, please contact the MPA Secretary.